I’ve always been a craft dork. 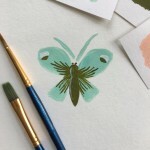 I remember a childhood filled with painting classes and beading looms…with hours and hours spent between the tall bookshelves of my local library, always in the craft aisle, hunched over and devouring a fat stack of books on the floor. Far before the internet had come on the scene, I absorbed every craft book I could possibly get my hands on. Embroidery, flower drying, jewelry, crochet, pottery, and of course, sewing…goodness knows I spent many a dime in library fines when I just couldn’t bare to drop my favorite books into the return slot. 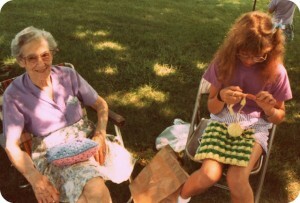 I officially caught the quilting bug in 1992, though I know it had rooted much earlier. 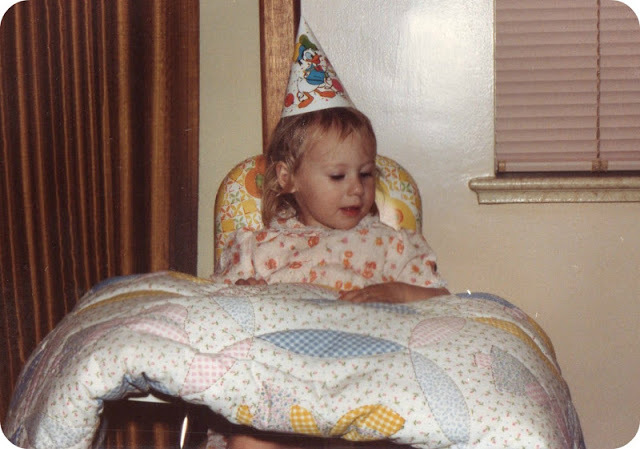 Perhaps it was all those Sun Bonnet Sues who sweetened up my nursery as a young child. Or all that secret digging through my grandmother’s mysterious sewing box, tightly packed with threads of every color and more tomato pincushions than a person could possibly need in a lifetime. Whatever it was, it resonated in me more deeply than anything I’d ever known. Quilting is like painting and fabric is my paint…mesmerizing shapes, endless colors, limitless possibilities. But this painting is made to be snuggled. In addition to designing and making quilts, I have an even more joyous job! I’m a wife, and a mother to 4 amazing children. They are my inspiration, my light- they make me laugh every single day, and never cease to remind me why it is I love to quilt- it’s beauty, it’s joy, it’s comfort, it’s love. How I actually find time to quilt is a complete mystery. Somewhere amidst the wonderful craziness of motherhood and household managing, I manage to find time to sew, or rather perhaps it finds me. I think it helps that I’ve finally created sewing spaces that are thoroughly part of the main areas of our house, rather than tucked away, like the secret cave sewing rooms of my past. There’s no denying it, there’s no sneaking away…it’s a part of every day, so why not bring my sewing out where the rest of the family is? I think this helps to make the sewing less of “my” thing and more of a family thing. Well, that’s a little about me! Thanks for stopping by to check out my site! Wishing you a most delightful, colorful day, and hoping you’re doing what brings you joy. You have a loving family, Amy! I really enjoyed the 2012 BOM of Craftsy, and look forward to your BOM 2013. Let me tell you that I am not a native English speaker, but Spanish, but hearing your videos has really helped improve my English learning because your pronunciation is very clear. 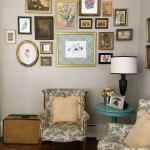 I’m rearranging my sewing room and your sewing room inspires me! Thanks! 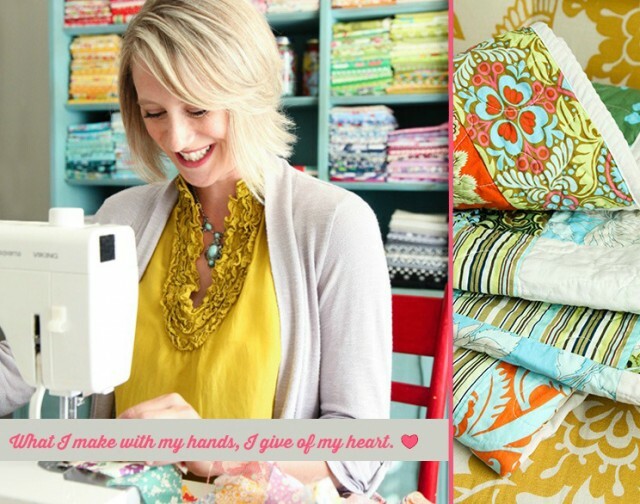 I love seeing your sewing studio. I was particularly attracted to the wall shelf with all the nooks and crannies for supplies. 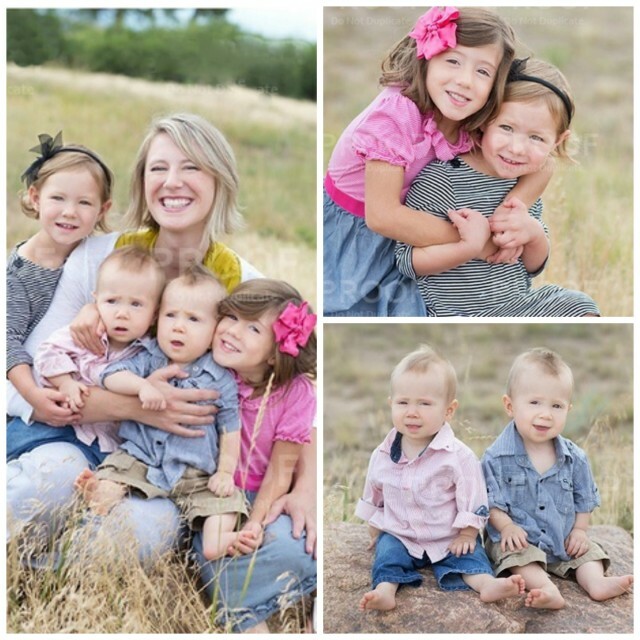 Thanks so much for sharing your darling family with your sewing fans. Amy, I am looking forward to the “Sugar block series” when does it start? You have a beautiful family, thank you for sharing. But, lets hear about that handsome angel husband too! Have a great holiday season too. I did your block of the months in 2012 looking forward to 2013 Sugar Block series. Had a very wonderful time watching your videos and being able to go back and see if i missed something.Your family is so darling. Also what kind of machine do you use on the show its a husquavarna viking what? Thats a quilting machine right? Are you going to have new lesson for the new year or will you have time? You have a nice family. 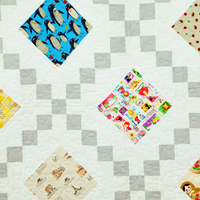 amy, on your snowball quilt, if you stitch a second line next to the first one on the corner blocks, when you cut in between them, you will have little HST’s from the 4 corner blocks. so you stitch 2 lines per corner. does that make sense the way i explained it? Thank you Amy and belated congratulations on the twins’ arrival! Just wanted to express to you my heartfelt appreciation and gratitude for sharing with quilters worldwide (I am a US expatriate living in the heart of Europe for the last 30+ and still counting years) your passion and your knowledge about making quilts. I love it and look forward to checking out your news every month. God bless!! I sure like your sewing space. I like the white. Congratulations on your family. You will be a very busy Mom. Wonderful studio! I have the same quilt frame and really enjoy it. It allowed me to finally get all my quilt tops finished! 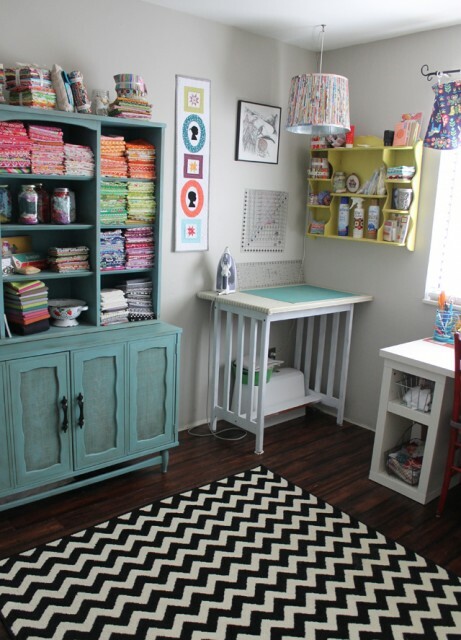 Your sewing room is fantastic; it’s inspired me to redo mine so that I like the colours better. 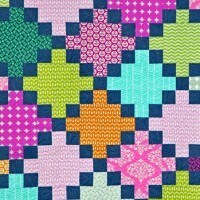 I can hardly wait for January so we can start the Sugar Block quilt. And along with the others, thanks for sharing the pics of your darling family. 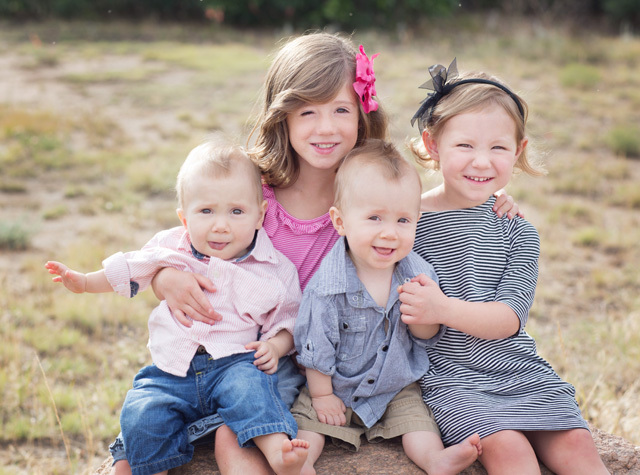 My children are grown, and I now have 4 grand daughters, for whom I’m making quilts this year. Loved your BOM quilt for 2012, and very much looking forward to 2013! Thanks for all the tips! Oooohhhh. I love finding a new interesting blog. Would love to keep my work surfaces as tidy as yours. All I’m going to say it WOW! 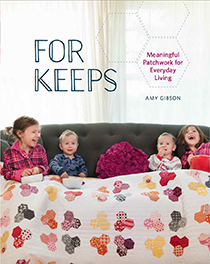 Love that you have space to quilt with 4 little ones. I have 3 myself and only get to look at my sewing bag from afar most days. 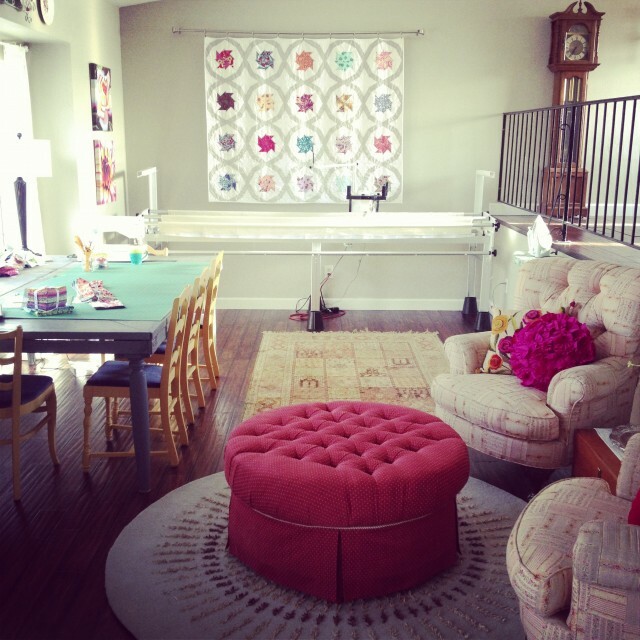 #2 I LOVE your craft space…we all need a woman cave! Well done! Oh, and your work is amazing, but I hope you already know that. After all, it’s from your soul. Hello Amy. What a beautiful family. Four little ones all at once. I can relate. My son and his wife have three little girls right now and his wife just had back surgery. So I understand how busy you can get. Those little ones don’t slow down for anything. I just finished your Craftsy Block of the Month course which I thoroughly enjoyed. I just signed up for your Sugar Block of the Month. I’m a bit late but hopefully I can catch up. I’m looking forward to continuing to quilt along with you. Hi Amy. I’m so inspired by you. I love sewing but sometimes need the motivation to get started. I loved doing the BOM 2012. Haven’t finished it yet but I will. Got side tracked with some other projects I was doing for a class. 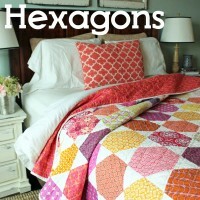 I am also working on a hexagon quilt which was inspired by one of the blocks last year. The ladies in quilt class love it. I’m not sure how to finish it so I just keep making it bigger and bigger. If you have any suggestions on that I’d love to hear them. Thanks for being here. Keep up the great work. Amy!!!! you are best girl!!!! that great smile. And your method of teaching is so relaxing and challenging at the same time. I’m so enjoying BOM 2012. Great blocks. Thank you. Please tell us about your quilting frame! I have been interested in this type of frame for some time but never been able to find someone that actually has one. Are you allowed to tell me the make? You have a wonderful family, enjoy every minute !! They grow up so fast! 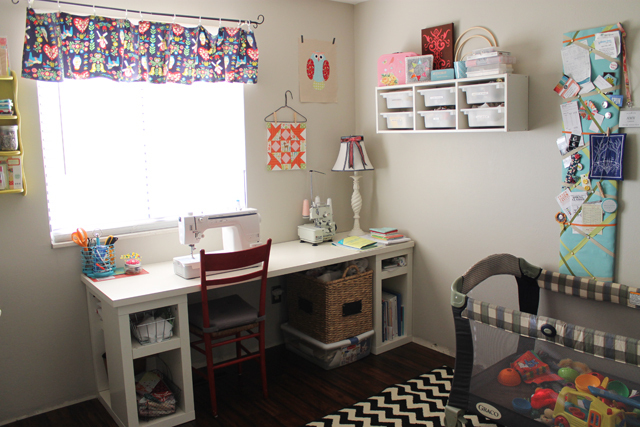 Thanks for sharing your beautiful family with us and that sewing room is just so super tidy! I was looking for a way to say how much I enjoyed the online shop hop so here I am! Thank YOU for connecting us to it. What fun! Secretly, I wish more of the sewists/quilters owned Viking machines b/c I do love my Husqvarna Designer SE. I discovered you through your BOM on craftsy.com (loved it!) and will continue to follow you. As a 60-ish relatively new quilter in Indiana, it’s a thrill to know that you youngsters are keeping the craft going AND that you’re willing to teach us oldsters a thing or two. Merci beaucoup! Just recently got a new machine after many years and have always loved my Husqvarna Vikings too. My new one is a Sapphire 960Q so can hardly wait to quilt with. I’ve been viewing a lot of online videos to get me up to speed again after five or six years away from quilting. I’m very excited! My name is also Sherry. Dear Amy, I have completed my Quilt from BOM 2012 which I ended up quilting one block at a time and joining up with the ingenious method of binding shown by Leah Day. I finished it off with my first attempt at free motion quilting thanks to Leah day’s great tutorials. It is on my bed now and I am so happy with it. I am rearing to go with this year’s block of the month . Thank you both for your generosity in sharing such valuable knowledge. 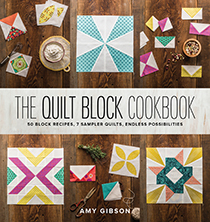 Hi Amy, I went to that new quilting shop and I really like that they have flat rate shipping and it is not real expensive.. They have a good price on their cotton solids.. Loved your pictures of your family! I just finished my craftsy quilt.. I decided a couple of weeks ago to do it and now it is finished.. I so enjoyed doing those blocks.. I have tried to learn paper piecing a couple of years ago and got frustrated.. You teaching it made it so clear… I just love it. It is like something finally clicked in my brain. Ha! I just now heard about craftsy and watched your whole course! I’ve been quilting only for a few years but there’s always awesome stuff to learn. Glad you offered this class and I hope you’ll be doing another one–I know Laura Nownes is doing this year’s BOM, but could you do something with paper piecing specifically? I really want to know more! 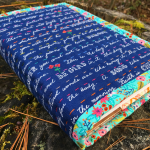 I am a beginner to quilting, as you might remember, and I love the way you explain the procedure..
Amy, would you share with quilters on how you get everything done? With all the commitments you have, four wonderful children and husband, a move into a new house, just how do you do everything? I think you need to share with others your organizational ideas and how you plan your day or week. 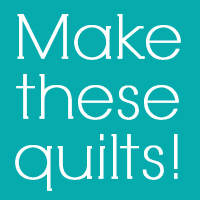 Also, do you have plans on showing quilters your new quilting room? Just wanted you to know that I love checking in on your blog!! So many great ideas! Love your craftsy class, I am from Guatemala and have a 20 year old daughter who lives in the US and enjoys quilting! AS I LOOK AT U AND YOUR FAMILY I PRAY GOD PLEASE TAKE CARE YALL & YOUR SEWING IN JESUS NAME AMEN I LOVE YALL AND MY SEWING HEART TOO!!!!! Can you tell me more about your pressing table? dimensions? diy or purchased? and details on the diy – did you use a tutorial on line? or where purchased? thanks! I’m on the lookout for one and am trying to hammer out the details of what I want – yours looks perfect. Have a great time at International Quilt Market. I hope you will offer the pattern you used for the Lulu fabric for sale in your shop. 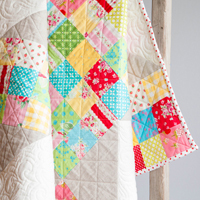 I loved the scrappy backing and can’t wait to see the completed quilt. Amy, Love your blog, it is delightful how you make it look so easy. I wish that my sewing area was as nice as yours, but at the moment it in a shamble. Maybe I will get motivated after the holidays to get it organized so that I can start sewing once again. I miss it the last few months, but I am determined to get back into it. Your inspiration has inspired me. Love your blog and enjoy reading it from time to time. Have a wonderful holiday with your lovely family, can’t believe you had twins and two other kids and still have time to quilt… WOW!!! I love your family and your sewing room. Mine is just along one wall of my bedroom but I am thankful for the space I have. I have joined you quilting blocks for 2014 and am looking forward to it. Thanks for your insight. I have really enjoyed reading them so far and the insight you have. I do the monthly newsletter for our Relief Society at church, the w omens group, and I hope you wont mind if I pull from your thoughts. You are so right about giving others the benefit of the doubt. I try to do this but am not always successful. But every time I am behind an elderly person going 20 miles under the speed limit I think of my grandma and grandpa and am able to be patient. Now to master everyone else!!! Have a great day! Seeing that picture of you as a little girl with the white blanket is like deja vu. My sister has the exact same one! I believe my grandma made it for her when she was born. Crazy! Thank you for sharing the pictures of you growing up, they are wonderful! And you have a beautiful family! I am recovering from surgery, and found CRAFTSY.COM and decided I would watch the 2012 BOM class and have enjoyed it. Saw you mentioned your sight and decided to visit. You have a lovely family. I know they keep you hopping. My children are older now. My daughter and her son, age 3, are moving out soon, so I can have their room for my sewing room. I love how yours is set up. I hope to be able to bring my fabric in from the garage once we get the room set up. It’s in tubs now. Surgery, BTW, was rotator cuff and I have another month in the sling before I can begin therapy and begin sewing again. I do hope to see you this summer in person. I found myself devouring your blog today. You are an inspiration, Amy. Your family is beautiful. 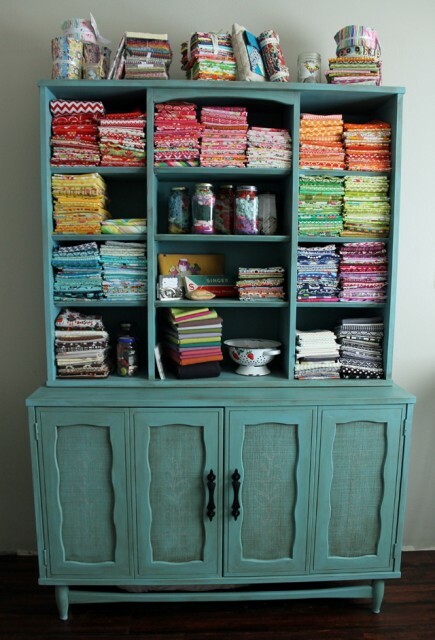 Your sewing room is cute, cozy, and quite an inspiration, as well. I love the neatly folded fabric on the white shelf. Hmmm…thanks for that. A simple idea, yet colorful. Hi Amy, Love your blog and your family. 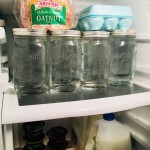 I had 4 kids too, so I know how crazy it can be at home. I never did any sewing when the kids were little. Started a second time when my baby was 6 yrs old. NOw I’ve been quilting for 30 some yrs. I babysit for 3 my 7 Grandbabies ….but still find time for my quilting. 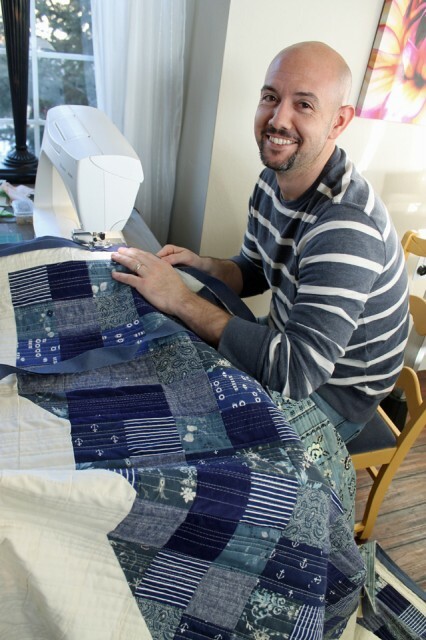 I love the blue quilt that you made or your husband? YOur patterns are great too. 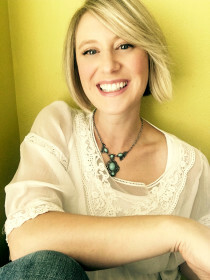 Amy, love your blog, you are truly an inspiration. You’ve encouraged me to become a better person and my challenge this month is to put down the iPad and enjoy visiting face to face. 1. I am teaching the oldest one how to sew. She is 8. I pick her up on Saturday mornings (twice a month) at 9:30 and she spends about 2 1/2 hours with me. Adalie and I sew, play games, and watch movies. She really loves sewing. 2. 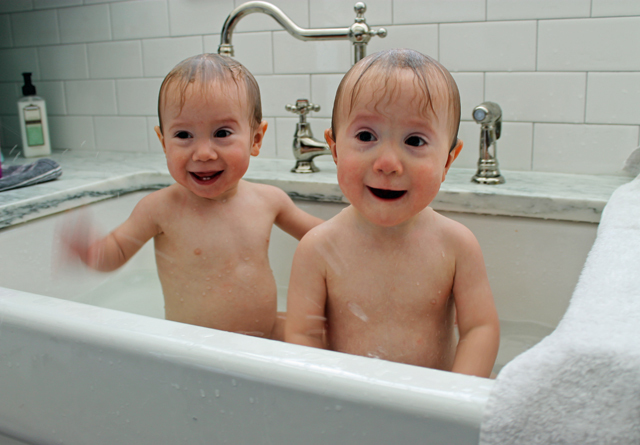 The other two grandchildren (a boy and a girl) come once a month. Aithen is 6 and Aryssa is 3. We play games, read stories, and watch movies. They also play with some toys. 3. 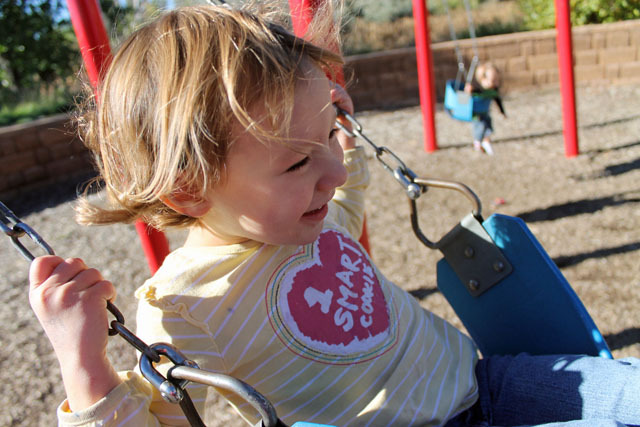 The baby is too young yet to spend quality time like this with granny – he is a year old. I watch Anson and Aryssa on Mondays at their house for 1 1/2 hours while mommy goes to Aithen’s school and helps the teacher. I love them with all of my heart as any granny would do. I truly enjoy the time I spend with them. I am almost finished with the 2012 BOM you taught on Craftsy which I started around January of 2014. I am in love with how you teach and you have such a vibrant and caring way about you. I just bought a pattern from your store and joined the 2014 Club. I’ve been quilting for over 15 years and I have learned so much from you — you are so inspiring and fun. Your teaching has helped me to transition into a whole new style of quilting. And your blog is so sweet and absolutely makes my day! Thank you!!!!! I’m quite new to Crafty and I happened to run into your 2012 Block of the Month recently. I loved it! And I loved your teaching style. 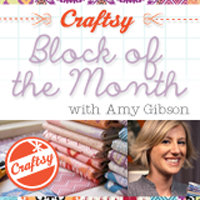 I just subscribed to your new Block of the month and I can’t wait for my first installment. Thanks for sharing. Your family is very lovely and I think it is amazing what you are doing. Keep it up and they will be so blessed! Glad that I have found your sewing teaching . What is your long arm machine? Hi Amy, I sure enjoyed your informative tuitorials. I was wondering how the nieces’ quilts came out. Just purchased the 2016 Sugar Block Club BOM and have printed it off. Somewhere on this site it told me the approximate amts of fabric needed but of course,now, I can’t find it. Can you email me with that? I’m new to quilting. 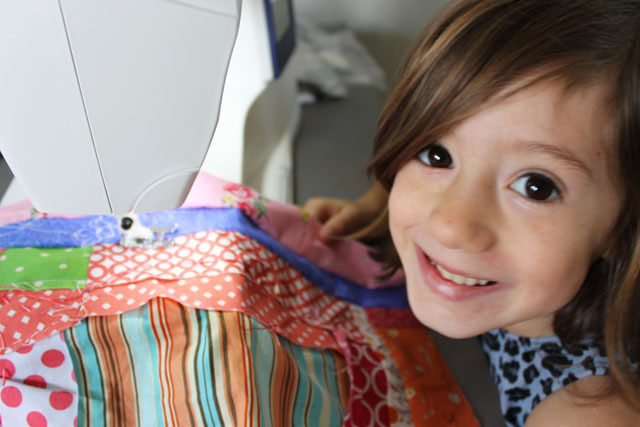 My 11-year old daughter and I are making sewing and quilting part of our homeschool curriculum, and we are both so excited to get started! After a slip and fall accident a few weeks ago, I’m still having back trouble and am spending a lot of time lying on the sofa, so I took advantage of that and watched the entire 2012 Crafty Sampler BOM video class today.–the entire year! Awesome class, and you are an amazing instructor. You covered everything I’ve been trying to learn. Thank you for taking the time to teach that class so thoroughly. I’ve subscribed to your blog so I can keep up with what you are making and I’m definitely checking out your Sugar Block Club, too! 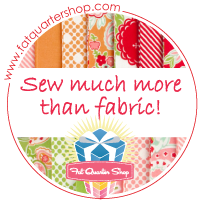 Hugs, and Happy Quilting! I discovered your Craftsey Block each month 2012 in October 2016. I love sewing and have never quilted. My baby grandson is due in the new year and I have just finished the top of a quilt using only 9 blocks. 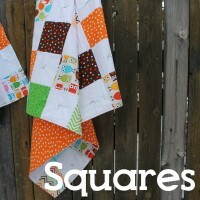 I am plucking up courage to start quilting! Your instructions are so clear and you cover all the possible snags. I wanted to say thankyou. I live in Bristol UK and I hope to keep quilting if this one works out! Hi Amy. We haven’t heard from you in a while. I hope you and your family are dong well. How have you been Amy? Have you had your new little bundle of joy yet? I have enjoyed your previous block of the months including this years…do you have plans for one next year? LOL, you already know how important being a mother is. Why was I telling you? Twins? Oh, my gosh. You have been blessed in abundance with your family. i’m not a blogger,tweeter, etc. But I have a question. On a recent shop hop thru Wyoming I bought one of your patterns. Loverly. There is a booklet but no templates to photocopy as instructed. There was a “link”. I also don’t link! 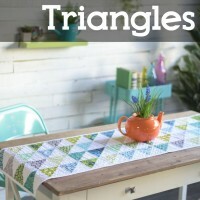 How can I get these templates so I can start this awesome quilt?